The border from this lovely cross stitch originated in Berlin in about 1867. I took the shape and colours from a charming hand painted Berlin chart. The border design is in pure cross stitch with no backstitch outline. 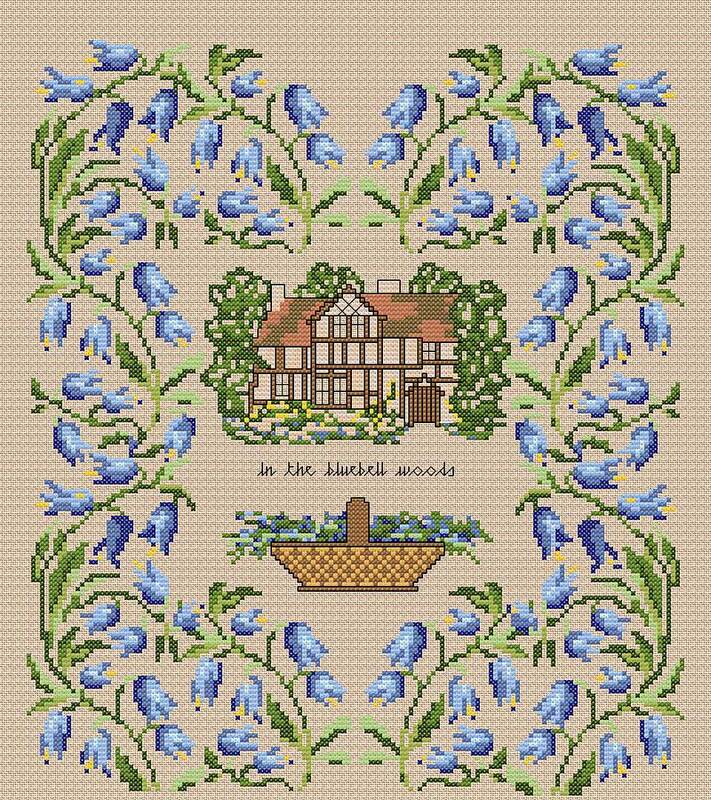 The woodland cottage is defined with a little backstitch in the darkest shade within the palette. The design may be stitched on linen or Aida but remember that the fabric size required will depend on the thread count of your chosen material.